If you're travelling with Qantas from Singapore and pocketing a Qantas Club lounge pass to use before your flight, you'd better keep that card in your wallet. Due to continued overcrowding, the airline is no longer accepting complimentary Qantas Club passes at the door of its Qantas Singapore Lounge. Those passes are issued with Qantas-partner credit cards and on a one-per-year basis to Qantas Silver frequent flyers, and while still useful at domestic Australian lounges and Qantas business lounges at Hong Kong and London (but not Los Angeles), they cut no ice at the Lion City. Qantas has confirmed to Australian Business Traveller that there are no alternative arrangements for passengers holding a complimentary lounge pass. Paid Qantas Club members and some frequent flyers are still being directed to the nearby SATS Lounge as an interim measure during the evening peak periods surrounding the departure of flights to Sydney, Melbourne and Brisbane, including the transit period for the QF2 superjumbo service from London to Sydney. 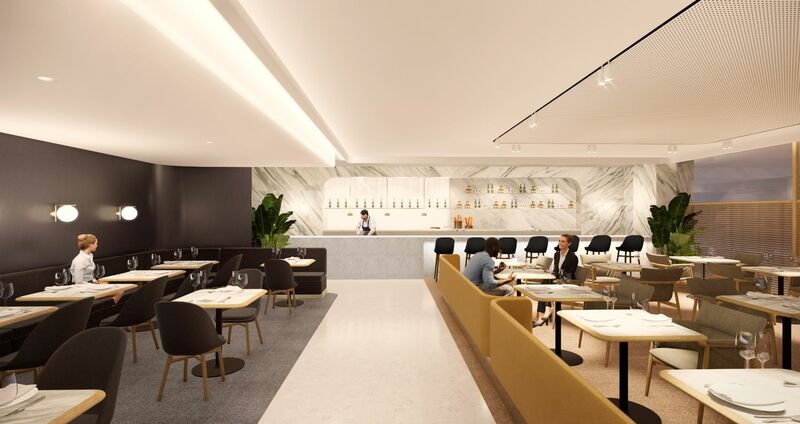 Qantas has plans to expand the footprint of its Singapore lounge in the second half of this year, although the biggest crowd-buster will be the opening of a new first class lounge located at the other end of the terminal. 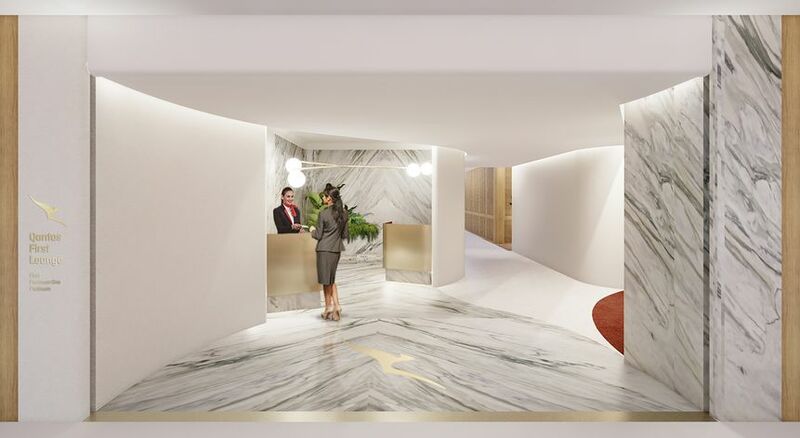 This will have seating for 240 first class flyer along with Platinum-grade frequent flyers and Chairman's Lounge members, and boast Rockpool à la carte dining on par with those of the airline's Sydney, Melbourne and Los Angeles first class lounges. Also read: What's next for Qantas' business class, first class in-lounge dining? They planned poorly for the SIN lounge and now QF are taking their typically punitive, ogre-like stance. Is poor lounge planning or poor scheduling for the flights? Qantas use SIN as a hub and spoke city to funnel passengers from London Asia through to its flights to Australian cities, the scheduling is fine. They have started the process on a new first lounge with the limited space available at Changi. A very uninformed observation. Qantas planned for the Singapore lounge when Dubai was taking over as the hub for London flights, so Singapore would really be an end-destination just like Hong Kong, apart from the odd Jetstar Asia connections. You're suggesting Qantas should have 'planned' for dropping Dubai and returning to Singapore five years down the track? Complimentary lounge passes are exactly that, they are complimentary, it's not as if Qantas owes those passengers anything. I think you'll find Qantas knew well in advance that they would be dropping the DXB arrangement and routing through SIN - and one would hope they would have relevant analysts involved at some point in the process regarding ground arrangements in SIN to handle the increased passenger load. A 1-2 year inconvenience period while lounges get brought up to new capacity smacks of poor planning. Having said that I've always found a seat at the bar in the current SIN lounge, and know that I could always divert to the BA lounge if it felt a bit overcrowded. FWP indeed! They do ‘owe’ Qantas FF Silver members something for their loyalty. It’s not a huge amount of loyalty but it’s not a huge reward either and restricting its use at a key transit point is a slap in the face. Indeed. They should be encouraging to silvers, not punitive. QF to me is always going to be the "dessert or cheese, not both" or "you should be grateful we let you fly with us airline". if you insist the complimentary pass is qf doing customers a “favour” then they really need to take it off the list of “benefits” a silver member receives right? You cant advertise something that customers need to spend $ to get then say its a favour and they dont own them anything. MELflyer is very uninformed if he thinks that Qantas decided to change back to SIN from Dubai within a few weeks/days of it actually happening and therefore had no time to fix the obvious lounge issues that would occur (and had been predicted by many readers on this site). As also noted by other commenters, complimentary lounge passes are issued by QF as consideration for QF customers entering into agreements with QF such as buying flights or credit cards. So QF does owe those customers what it promised. As someone who visits SIN regularly, the airport is great but the Qantas Lounge is just OK. It is noisy, devoid of any warmth and the staff add new meaning to the term lounge-dragons. In September, I was shuffled to the SATS Lounge next door and, whilst not as modern, it was perfectly acceptable, with gracious staff, not to mention the 5000 point bonus!! I wouldn't have thought that there would be that many people using passes everyday at SIN for it to make a difference to the crowding. When I was visiting the lounge a couple of weeks ago, one of the hosts said they planned to push the timber wall back (with the clock and TV on it) creating more seating. I don't know whether Qantas have confirmed these plans, but this would certainly help with easing the pressure. Do QF plan on allowing pass holders back in once the first lounge is open? Qantas hasn't officially declared "Here is how we'll make the lounge bigger" but yes, I believe the plan is to push out where the glass walls overlook the terminal and claim that extra two-or-so metres which is currently like a narrow walkway (although it's not of course a walkway). This won't sound like a big win in itself but doing this all the way around the lounge will allow more tables and chairs to be added. And yes, once the first class lounge is open or indeed as soon as the business lounge expansion is done, Qantas Club pass-holders will be welcome once again. C'mon people....they need to do something quickly to reduce the excess demand on the current lounge with its current physical limitation, and comp guest passes are logically one of the first barrel to through overboard. OK they got it wrong, but now they are correcting it with plans to increase the size and open a new F lounge. And it's not like they don't value Silver FF, but in this particular case the line has to be drawn. I don’t onto know why they haven’t told gold members to go to the BA lounge as well. Might alleviate some of the crowding in the mean time and allow silver passes. But consensus is that the first lounge be built ASAP. Overcrowding is a disgrace and completely the fault of Qantas. Qantas FF Platinum here (flying OneWorld Business) was turned away back in December. It is appalling and has been from the get go especially if you are a First Class, Platinum, Platinum 1 or Chairmans. Half the time the area that is meant to be allocated for above travellers is NOT. Last year whilst coming home in First from LHR was told at the entry that the Lounge was full !!!!! Sorry not acceptable but having to stand my ground as both a First Class PAX and a P1 was both embarrassing and unacceptable. The QF SIN lounge has always had capacity problems. Nothing new. I do love the showers there though - wonderful way to break up a long-haul slog from Europe. The current SIN lounge was designed for 5 A330 flights/day at most with the hub to Europe in DXB. There are now up to 9 flights/day with 3 A380s. If QF "knew" they were going to transfer the hub back to SIN, they should have known there would be an issue with the SIN lounge and started quietly making plans at that time, so that they could announce a lounge improvement when they announced they were moving back to SIN, not around 9 months after the move happened. I wonder how many people are aware that they can go to the BA lounge. I know quite a few Qantas frequent flyers who make that 'right turn' into the BA lounge when the Qantas lounge is heavily crowded. The last few times I've been through SIN, I've gone to the QF lounge shortly after it opens, moved to the BA lounge when QF starts to get busy and moved back after the peak is over. I'm usally on one of the last 2 QF flights out. How is that even legal? I have a valid pass, which I have in effect paid for via CC fees, and it isn’t honoured?? God I hate Qantas. I completely agree with Vulch. I feel that we have been misled and deceived into signing up to the credit card and trying to gain achieve Silver status. 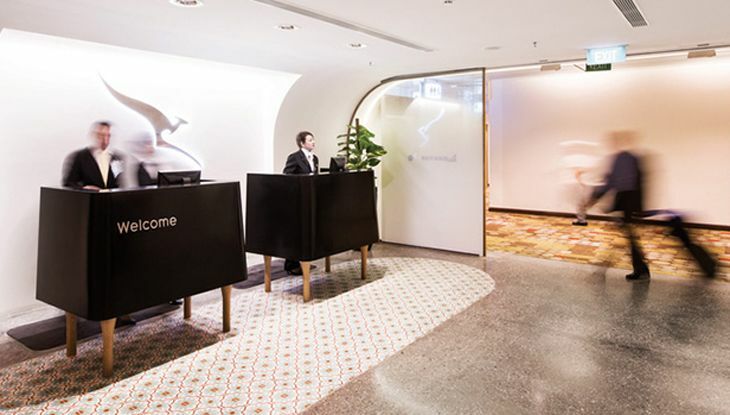 Comment on "Qantas Club passes are no longer accepted at Qantas' Singapore Lounge"